Are you planning to start a shoe brand? Do you have an established footwear company, and want to enhance your technical knowledge? Studying shoe making courses is always a good idea. If you’ve dreamt of setting up a shoe making workshop so you can make bespoke footwear for clients, learning the craft will be your starting point. 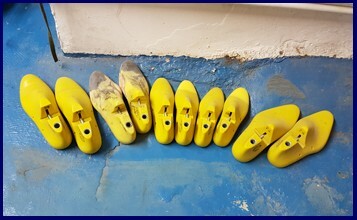 Shoe making courses are also great if you simply need to understand the processes and terms to communicate effectively with your manufacturer. 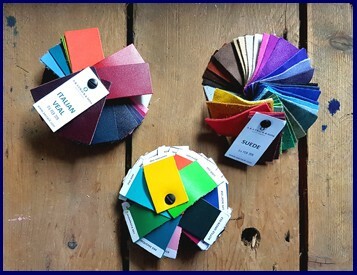 I recently visited a workshop in Stoke Newington, London called The Parachute Collective. They teach in-depth shoe making courses, so you can learn to make various footwear styles using traditional methods. 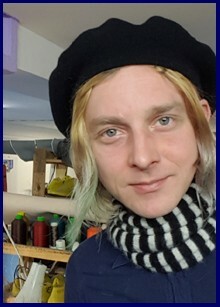 Thomas Rowe, who founded The Parachute Collective, also runs the courses. When I met him, he struck me as a patient person with vast shoe making knowledge, and a keen aesthetic sense. Just what you need from a teacher if you’re learning your skills on one of their shoe making courses. 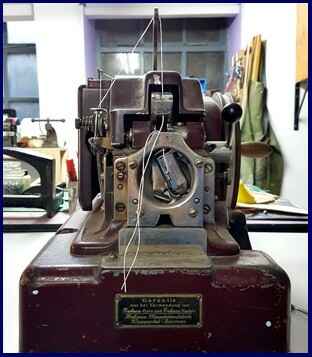 If you get excited about traditional machinery, The Parachute Collective’s well-equipped workshop has some of the most beautiful shoe making machines I’ve come across. 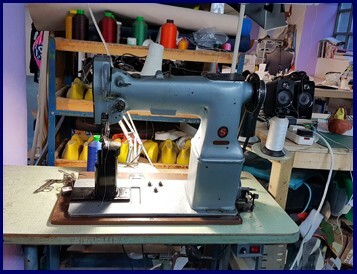 Stitching shoe uppers requires a post machine, rather than a conventional flatbed sewing machine. This is because shoes are so 3-dimensional. The Parachute Collective boasts this reliable Singer model. It’s great that alongside the traditional shoe types, you can also study sneaker making. Who doesn’t want to know how to make sneakers? 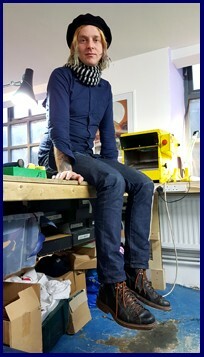 I spoke to Thomas in some depth about the methods he teaches his students through his shoe making courses. Thomas uses traditional techniques which are still considered to be best practice for hand making footwear. There aren’t any short-cuts, which ensures the high quality of the shoes and boots which come out of The Parachute Collective’s workshop. Alongside the courses, Thomas also makes bespoke footwear for individuals. If you can’t find shoes to fit your feet and style, and don’t want to make them yourself, Thomas will create your dream pair. You can choose your style, colour, material, and even the smallest elements like laces, eyelets, lining and welt stitch colour. Your bespoke shoes will be made to measure for your feet, so they’re great for those who struggle to find perfectly fitting footwear. There’s also space to hire if you’re a shoemaker yourself. 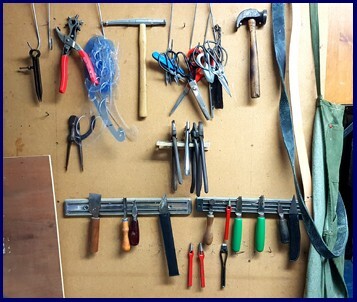 When courses aren’t running, Thomas will happily share the space and tools with skilled makers. If you have any questions about the shoe making courses offered at The Parachute Collective, just get in touch with Thomas. He’s always happy to help. If you’d like to turn your shoe making knowledge into a business, I’d love to help you. Find out about the support I offer to start-up shoe brands, and send me a message when you’re ready to talk. I am a professional shoe consultant providing shoe consultancy to startups and established businesses. I enjoy nothing more than working with businesses on a one to one basis and helping them achieve the success they crave. Learn more about how I can help your shoe business.